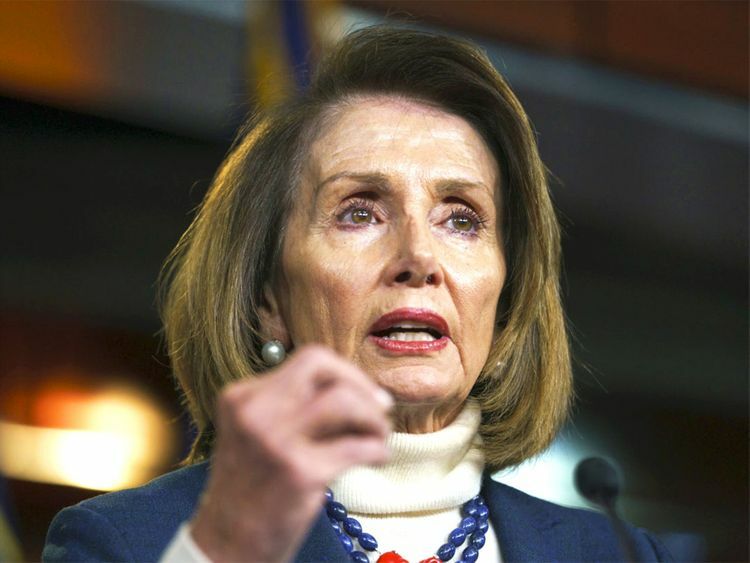 At the end of this month, Nancy Pelosi will retake her position on the podium behind the US president as he gives his State of the Union address. As speaker of a House that is more female and more racially diverse than at any time in American history, Pelosi on the dais will represent more than just Democratic gains: She will be a visual symbol of a profound shift in how those with power might wield it. For too long, female power has been calculated using the arbitrary measuring stick of how men exercised authority; women, as a result, largely shaped themselves to these male-determined standards and norms. But the women of the 116th Congress are redefining what it means to be powerful and reshaping some of the most dearly held American fables in the process. Power, for all of American history, has been white and male, and maintaining that monopoly has required a series of agreed-up conventions and plot lines. A handful of women and people of colour have, in recent years, managed to get a foot in the door, but the definition of what power means, and the male-centred story of how one gets it, remains in place. According to this script, power is meritocratic; those who earn it do so individually through their own hard work. Power has a particular look and a particular sound: tall and deep-voiced. Power is all-encompassing: A partner and children are the backdrop for a life centred on the pursuit of greatness; family indicates that the powerful person is grounded enough to be trusted, but the family is fundamentally a body that benefits from the powerful person, not a body that benefits him and fundamentally enables his success. Within this story of meritocracy is the promise that anyone can achieve political power and success if they are good enough and if they work hard enough; that elected offices have for so long so wholly rested in male hands suggests simply that men have long been more worthy of them. As a result, and by necessity, barrier breakers have largely followed this same script, from the practical to the descriptive to the aesthetic. When women and people of colour did gain political power, their ascension was often used to prop up the existing meritocratic narrative: They had achieved, and so anyone can. The subtext: Perhaps the dearth of women and people of colour in office meant they hadn’t worked hard enough for it. This narrative of American political power is pervasive enough to be largely invisible. The women who folded themselves into the existing story were perhaps not so much doing it intentionally as acting according to the script on offer, without much space to imagine something different. But as more women have entered the political realm, they have created more space for authenticity over self-aggrandisement. This is especially true as politicians come from a wider diversity of communities and backgrounds, each with different norms around authority. Today’s rising female politicians tell a very different story than “I worked hard, and so I got here by myself.” One by one, they credit those who inspired their success, supported their ascent and cleared the trail so they could walk further still. When Ayanna Pressley, a new representative from Massachusetts, took up residence in Shirley Chisholm’s former office, she framed it not as a goal achieved but as one marker on a long trajectory toward equality. Rashida Tlaib, a new representative from Michigan and one of two Muslim women now serving in Congress, showed up to her swearing-in in a thobe, a traditional Palestinian robe, asserting that her story is not one of American Horatio Alger achievement but of a particular, and particularly marginalised, place in the world. Ilhan Omar, the other Muslim woman now in Congress, and Alexandria Ocasio-Cortez of New York wore Suffragist white on the day of the swearing-in. Noting she is the youngest congresswoman in history, Ocasio-Cortez made explicit the fact that her success is not a story of bootstraps but of a web of support. From these women, the message is clear: Their strength comes from collaborative, generational efforts to move toward the good. The promise of America is not the possibility of individuals going at it alone and achieving in a high-profile way as a result, and the purpose of politics is not personal empowerment. The gift of power requires the responsibility of appreciating who came before you and how you might do your part to push forward. Powerful men have always considered their individual legacies. These powerful women seem more interested in their role in improving an evolving and complex ecosystem. In some ways, this refusal to take full individual credit for professional success is a very female thing, and perhaps itself springs from sexism: Women who are seen as individually ambitious or self-glorifying pay a price — unlikeability — that men do not. It may be safer for powerful women to make clear that they got to where they are because of significant support from those around them, and to focus their origin stories on home and community. But the fact that this version of a hero’s journey grows partly out of sexism doesn’t make it any less true. If voters can see the group effort that enables power and achievement, it could diminish the collective discomfort with powerful women. It can also help illustrate the unearned advantages that put some people in power. Women shouldn’t adapt to the existing lie; men in the political realm should be more honest. The lines we have drawn around power, and the stories we tell about it, have kept many people from seeing themselves in their political leaders. Changing the way we tell the stories of how people achieve political power is much bigger than just more honest candidate autobiographies or triumphant Instagram captions. It has the power to change the outcome of what those in power do. Jill Nicole Filipovic is an attorney and author, well-known for promoting feminist and progressive causes.